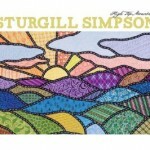 FTB podcast #216 features the debut album from STURGILL SIMPSON entitled High Top Mountain. Also new music from CLAIRE LYNCH, THE STATESBORO REVUE and JEREMY JOYCE. Here’s the iTunes link to subscribe to the FTB podcasts. Here’s the direct link to listen now! 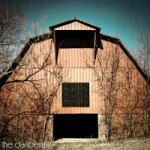 This entry was posted in Americana Music, Americana Music podcast, Music, podcast, roots music and tagged CHICAGO FARMER, CLAIRE LYNCH, D.L. MARBLE, HALLEYANNA, JEREMY JOYCE, JERRY CASTLE, JOHN DRISKELL HOPKINS & BALSAM RANGE, LILLY HIATT & THE DROPPED PONIES, STURGILL SIMPSON, TALLAHASSEE, THE DANBERRYS, THE STATESBORO REVUE. Bookmark the permalink.